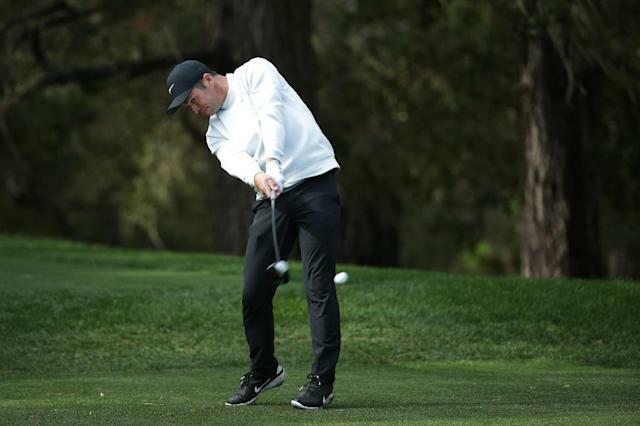 San Francisco (AFP) - England's Paul Casey fired six birdies in a five-under par 65 on Saturday to pull away to a three-stroke lead over five-time major winner Phil Mickelson at the Pebble Beach Pro-Am. After a second straight bogey at the 10th, he rallied with a birdie at the 13th, where he landed a wedge three feet from the pin, and an eagle at the par-five 14th -- where he stuck his second shot within four feet. "I actually thought it was a successful round," said Mickelson, who said the sometimes-heavy showers made the going tough at times. "It was difficult out there, especially around the turn there," he said. "It was very difficult but I was able to come back when it cleared up. "I've got a good chance going into tomorrow," added Mickelson, who will be playing in the final group on Sunday for the second time in his last three starts. 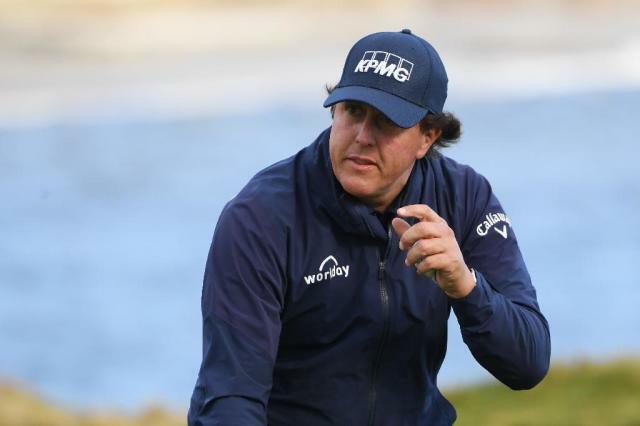 Mickelson, who made his 500th career cut on Saturday, could join Mark O'Meara as the only five-time winners of the event, Mickelson's most recent triumph coming in 2012. "I just have to play a good solid round," Mickelson said. "Obviously Paul is playing some great golf. He's going to be tough to catch." "The juices were going. Because of that I'm playing better," said Casey, who was enjoying the Pro-Am experience, which can test the patience of the pros -- especially with the kind of soaking weather that has further slowed things this week. "It's tricky on occasions, but you have to embrace it," Casey said. "The bit you can't control, the weather, you've just got to cross your fingers and hope you're at the right part of the golf course at the right time. "It's such a joy playing these courses," added Casey, who is seeking a third US PGA Tour title. "I've always loved Pebble -- how could you not?"